Click here to go to original article on The Press-Enterprise. 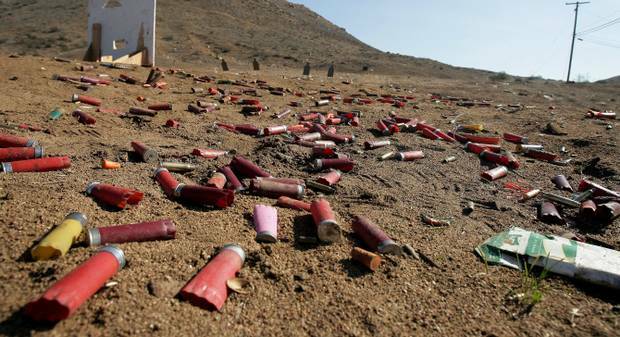 Trash and shell casings litter the open shooting area in Perris Feb, 08, 2014. 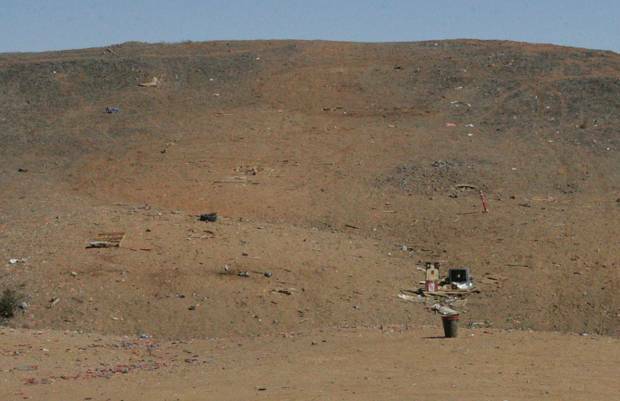 The Bureau of Land Management may shut down open shooting areas due to trash being left at the ranges. Positioning his body behind a wooden cutout of a car, Markus Kirk aimed his AR-15 at a paper target in the distance and squeezed the trigger. Brass casings flew from the chamber and plunked on the dirt beside him. 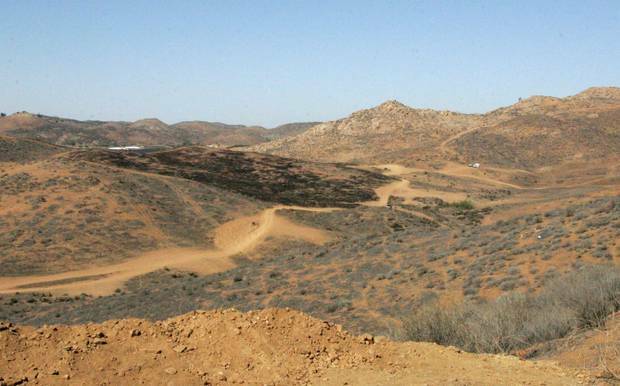 The U.S. Marine regularly visits Steele Peak, an open shooting area managed by the Bureau of Land Management west of Perris, to have fun and sharpen his shooting skills. What he and others — including BLM officials — are not pleased with is the trash left behind by some visitors. The area is peppered with spent shotgun shells, casings, mangled milk jugs, splintered wood targets, plastic grocery bags, water bottles and other random refuse. “The trash is nasty to look at,” Kirk said. That debris could end the fun for Kirk and many other gun enthusiasts in the region who take advantage of the free shooting range. Land management officials are monitoring the area, and if the trash pileup continues, the area could be shut down. Tracey said many more recreational shooters have been using the BLM land in the past couple of years. At least part of the increase was prompted by the closure of a popular gun club nearby, he said. 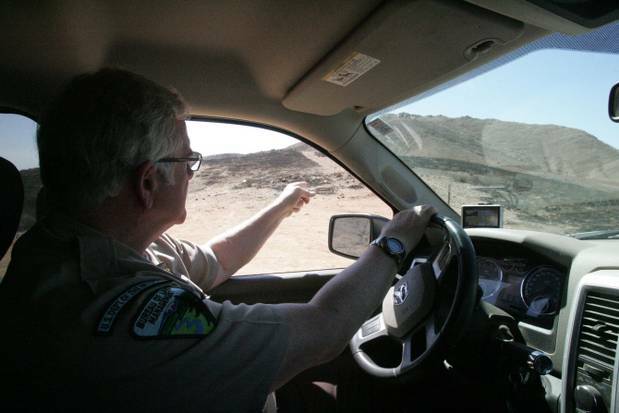 Art Tracey, a Bureau of Land Management ranger, Feb. 21 patrols an area near Perris frequented by recreational shooters where litter and dangerous shooting practices have become a problem. With more use has come more littering and dangerous practices, officials said. 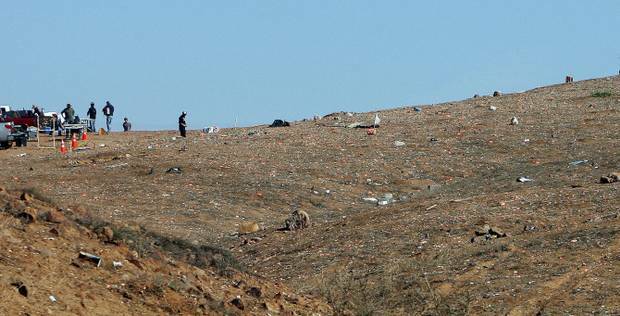 Gunshot-riddled trash was left on BLM land in the Steele Peak area near Perris. Patrolling the Steele Peak area on a recent Friday, Tracey pointed out a trash pile containing an old television shot full of holes. There have been cases of people using illegal exploding targets, he said. Although Kalish said there are no immediate plans to shut down the Perris location, shooting areas have been closed because of trash. The U.S. Forest Service shut down the Orosco Ridge shooting area near Palomar Mountain in 2010 because of the overwhelming volume of accumulated litter and the toxic waste. “It’s a shame that people leave behind all of their trash and ruin it for everyone else,” U.S. Forest spokeswoman Annabelle Cornejo said. Other shooting areas are shut down from time to time because of fire danger. In September 2007, target shooting ignited the Mill Fire in the San Bernardino National Forest. Recreational target shooting was prohibited in the forest for a year following the fire. “We do, in fact, adjust the recreational shooting periods each year due to fire danger, based on live fuel moisture, weather and conditions,” said John Miller of the U.S. Forest Service. Tracey said more than a dozen fires over the past few years may have been caused by recreational shooters in the Steele Peak area. On Feb. 17, a wildfire charred five acres near the range before it was extinguished by Cal Fire/Riverside County firefighters. Sheriff’s deputies were called out to help evacuate shooters in the area. Jody Hagemann, spokeswoman for Cal Fire, said investigators could not pinpoint the cause of the blaze. There have been other problems, too. 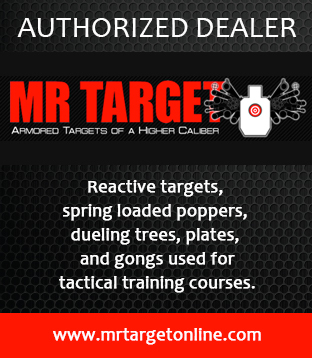 Some shooters have fired blindly over ridgelines with no idea what lies on the other side, Tracey said. On Feb. 15, a stray bullet believed to have originated from BLM land struck a house in a neighborhood near the range. Sgt. Stephen Brosche, of the Riverside County Sheriff’s Department, said the .30-06 round lodged in a wall of a house on Loch Rae Court about 8:45 a.m. The resident was home at the time, but no one was hurt. He said deputies were unable to locate the shooter. The BLM has beefed up ranger patrols of the Steele Peak location to education shooters about cleaning up their litter and to keep an eye out for offenders, Kalish said. “If shooters don’t remove what they bring in, they are subject to being cited,” he said. Law enforcement rangers aren’t the only ones trying to control the litter. The group Calguns has taken an active role in reducing the debris. “We gather up a group of volunteers and periodically clean up the area,” Calguns member Robbie Taylor said. The group is planning another cleanup at the end of March. During the last clean-up, volunteers filled an 8-foot-by-23-foot dumpster. Taylor said they also post signs alerting the shooting public to keep the area clean to avoid a possible closure. “Unfortunately, the signs end up being used as targets,” he said. Still, the group has made some headway. “We have noticed a definite improvement with their help,” Kalish said. The site of a recent wildfire that blackened five acres on BLM land near Perris. The blaze broke out where recreational shooters were firing guns Monday, Feb. 17. On a busy Saturday at the range, shooting instructor Rob Orgel helped his class set up paper targets and ran through a series of drills. Orgel, who had four students including Kirk in his class, said each shooter fires approximately 400 rounds during the daylong training. “That’s a lot of brass,” Orgel said. Other shooters at the range said they were unaware the accumulated debris is a threat to their recreation. 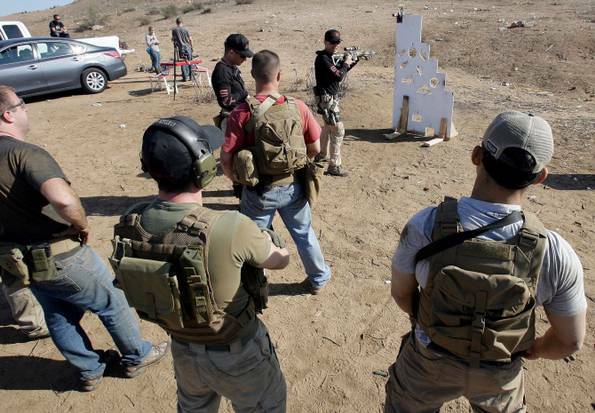 ER Tactical Owner Rob Orgel, (top center) instructs his students with an AR15 at the open shooting area in Perris Feb, 08, 2014. 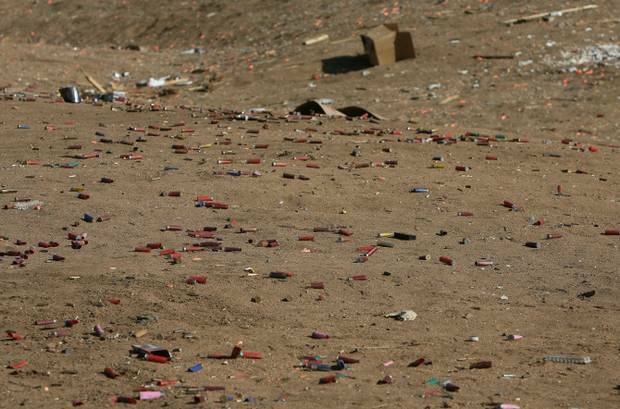 The Bureau of Land Management may shut down open shooting areas due to trash being left at the ranges.